Mrs. Sorenti has been a volunteer at the Forestdale School for the past 26 years. She first started working at the school when she followed Mrs. Iadonisi to Sandwich from Bourne. When she learned that Sue had landed a job at the Forestdale School, she offered to come and volunteer in her new classroom and has been coming every Thursday ever since. Sue describes Mary as an integral part of her classroom and explains that she is there to help in whatever way Sue needs. The over 500 students that have passed through Mrs. Iadonisi’s classroom would probably all remember Mrs. Sorenti first for one thing she has been bringing to these students since she started. Started as a project to help develop fine motor skills in younger students, Mrs. Sorenti each year teaches students to quilt. Not only does she teach them to quilt, but she buys, cuts and puts together all the materials needed for the students to build their own quilts. At the end of the project, each child goes home with his/her own quilt that he or she has made. Mrs. Iadonisi talks about past students, now 30 years old, that still have the quilt they made with Mrs. Sorenti and how much it means to them still to this day, and how fondly they look back on the memories they have from making the quilts with Mary. During the Holiday season, Mary and her family collect all the greens from around her home and bring them into the classroom. Then Mrs. Sorenti leads the students in making floral arrangements for the holidays. She ensures there are a wide range of colors to represent each of the different winter holidays celebrated by students in our school and helps the students to create their own personal arrangement to bring home for the holiday season. Most of our volunteers come into the schools because they have connections to the school through their children or grandchildren. Mrs. Sorenti has never had a child in the Forestdale School. 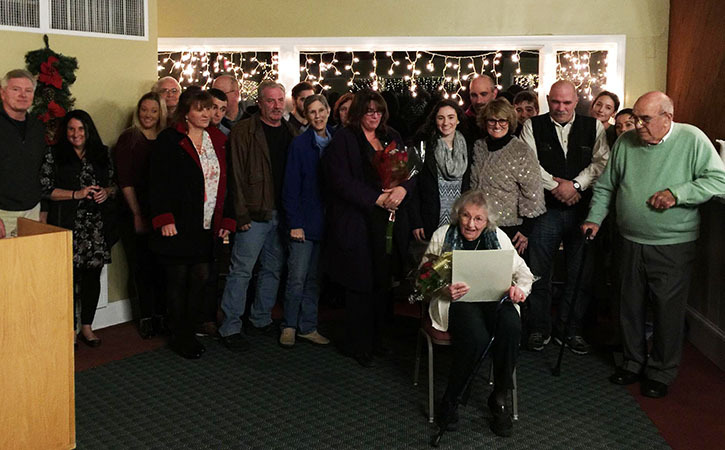 And while she has 9 children of her own, over 20 grandchildren and a pod of great grandchildren, she still carves out a space in her heart for the students of the Forestdale School. 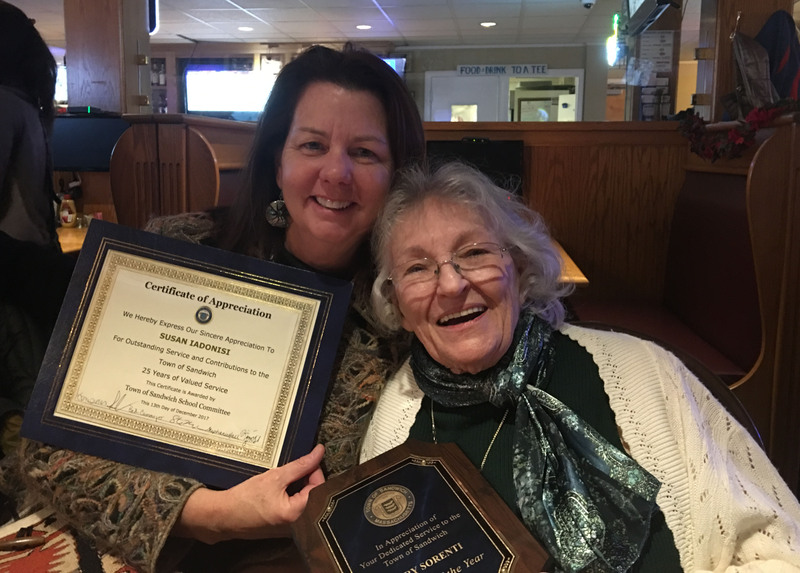 We at the Forestdale School are so grateful for Mary and could not think of anyone more deserving of the Volunteer of the Year that Mrs. Mary Sorenti.